...while completing beautifully detailed spherical jigsaws. The new way to experience a traditional puzzle. Suitable for all ages with between 8 and 128 pieces. Choose from 10 scenes or add your own. Only possible in VR. Find yourself stood inside the jigsaw. Use your tracked controllers to precisely place your pieces as you build the spherical puzzle. Rotate the jigsaw and scene to see it from different angles or simply walk around the jigsaw. Traditional flat jigsaws are also included. Custom scenes should be saved as an equirectangular .png file, sized at 8192 x 4096 or 4096 x 2048. 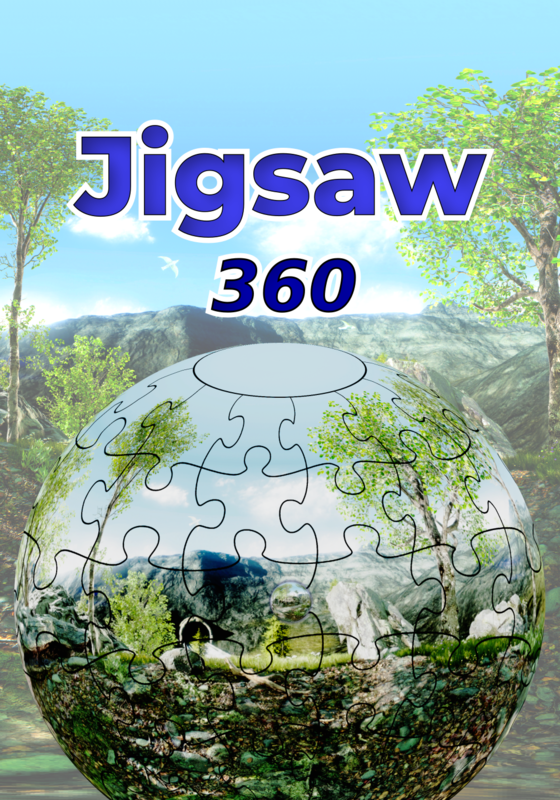 To promote Jigsaw 360 and grow its popularity (top games), use the embed code provided on your homepage, blog, forums and elsewhere you desire. Or try our widget.